In March I used the opportunity to speak at Chamber of Environmental Engineers in Istanbul about shale or natural gas, the method with which it is extracted called hydraulic fracturing (fracking) and how it can impact human rights. This topic has become the focus of environmental engineers in Turkey (and hopefully, it will become central topic for all active people there) because shale gas explorations have started in Turkey in times when there is a global opposition to the method of its extraction. Why does the world oppose it? Because the cases coming from the U.S.A. have shown that the way shale gas is extracted today is simply dangerous, unsustainable and short-sighted. Why the U.S.A.? 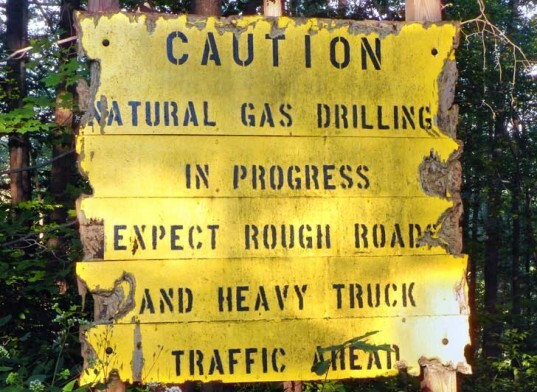 Yes, shale gas is also extracted through fracturing in other parts of the world, but there is a lot of research and data especially on the U.S. which has been sort of a laboratory rat: there the experiment of fracking started and now everybody can observe its negative outcomes. Even films both fiction and documentary became widespread on the experiences of communities in the U.S. So although the situation is alarming, it is good to learn from others’ experiences. People, who raise concerns about shale gas primarily oppose the method it is extracted with. It happens through drilling down deep underground first vertically then horizontally through the clay rocks or shale. Then huge amount of fluid – mixture of sand, water and around 600 chemicals – are pumped in under high pressure to crack or fracture these clay rocks, thus releasing natural gas. The problem is that drilling that deep means also drilling under drinking water reserves. These reserves provide drinking water for communities, plants and wildlife on the surface. Any leakage of shale gas or the fluid into these drinking water reserves will threaten communities and the environment. Some of the chemicals are toxic enough (benzene, toluene, hydrochloric acid, sodium hydroxide, causing cancer, endocrine disruption) for a large company specializing in fracking – Schlumberger Technology Corp – to include these fluids in a list to be disposed of at hazardous waste facilities. Moreover, not only the cracking of the underground is a problem. Also the wells can leak and thus release toxic fluids into the ground and drinking water. Again the Schlumberger company published in 2003 that about 5 percent of wells leak immediately, 50 percent leak after 15 years and 60 percent leak after 30 years. Data from Pennsylvania’s Department of Environmental Protection (DEP) also confirm these initial leakage rates. 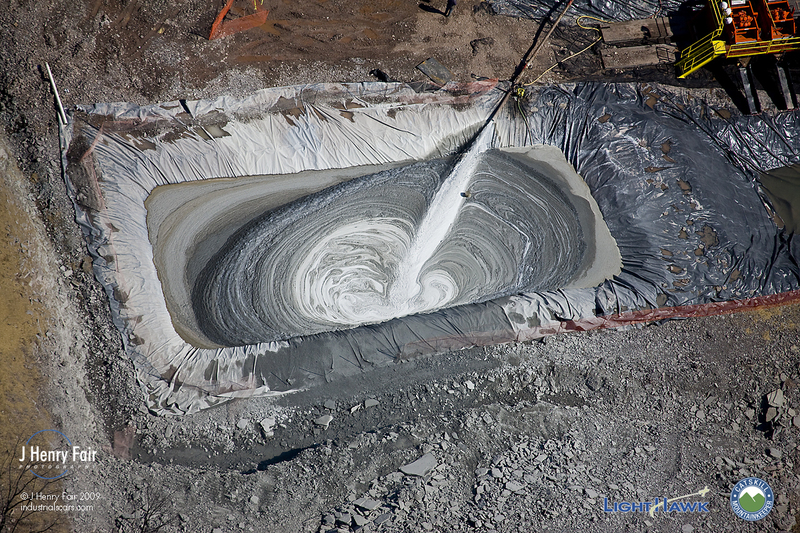 As fluid used for fracking is partially removed from underground, it is then kept in ponds, which is in its turn a problem, since it can leak into the ground from these ponds, and if not, it evaporates this way releasing chemicals into the air. This information is based on the University of Pittsburgh’s Center for Healthy Environments and Communities research. These chemicals, also called volatile organic compounds, harm brain, nervous system, cardiovascular system, blood and kidneys. So there are various ways to contaminate humans and environment if not underground, then over ground. 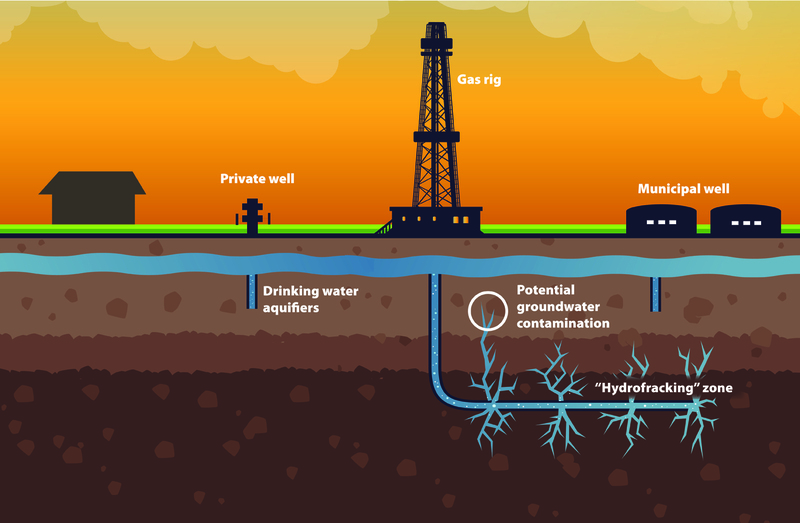 But fracking also puts a huge strain on our water resources: a huge amount of water is necessary for pumping into the ground and cracking the clay rocks. In 2010, the U.S. Environmental Protection Agency counted that 70 to 140 billion gallons of water (1 gallon is 3.7 litres) are used to fracture 35000 wells in the U.S. each year. This is the annual water consumption of 40 to 80 cities each with a population of 50.000. But apart from the ecological concerns, the transportation of only two to five million gallons of water (fresh or waste water) requires 1400 truck trips. This means not only increase in traffic, but also air pollution from the gasses omitted from tracks. So now that you see what problems fracking causes, I will add some more data. A 2010 study of 68 drinking water wells in shale drilling areas of northeast Pennsylvania and southern New York State found that water sources closest to gas wells contained an average of 17 times more methane, main component of the fracking fluid, than wells further from drilling sites. Meanwhile in Pennsylvania, number of cases when shale gas operations damaged private water supplies has been 248 starting from 2008. What human rights are impacted? Obviously, some of these are rights to health, clean water, security, property ownership. Fracking thus forces people to choose between their rights and short-term economic benefits. States that are party to International Covenant on Economic, Social and Cultural Rights (ICESCR) (not the U.S. though, it hasn’t ratified it: something for the civil society to work on) have to keep in mind their obligations under articles 11 and 12: not only do they recognize everyone’s right to enjoy highest attainable standard of physical and mental health, but states also have to take steps to realize this right through improving all aspects of environmental and industrial hygiene. The Committee’s explanation on how to realize this article clarifies that states are required to “ensure an adequate supply of safe and potable water”, “prevent and reduce the population’s exposure to harmful substances such as radiation and harmful chemicals or other detrimental environmental conditions that directly or indirectly impact upon human health”. Enjoying one’s own privacy and property is also a human right recognized by International Covenant on Civil and Political Rights (Article 17, ICCPR) and the European Convention on Human Rights (Article 1 of the Protocol to the Convention) applicable to countries of Council of Europe. The latter while recognizing the right to property mentions that “no one shall be deprived of his possessions except in the public interest”. Certainly those behind energy sector would bring this argument that shale gas is in public interest. However environment, more specifically clean environment is also in public interest (substantiated by researches). Moreover, the European Court has recognized that the state’s obligation includes not only provision of security to enjoy one’s property. It is also meant to prevent the devaluation of the property as a result of inadequate management of activities that affect that property, including environmental pollution. Many states consider it fancy to cite Rio Declaration on Environment and Development on their official websites. In fact this acceptance of the declaration through their official websites can also be interpreted by human rights lawyers to show states’ readiness to commit themselves to its principles. Principle 10 highlights states’ responsibility in encouraging public awareness and participation by making information widely available. This principle provides the right to full disclosure of information about ingredients, plans, health risk assessments, environmental impact reports of the projects. 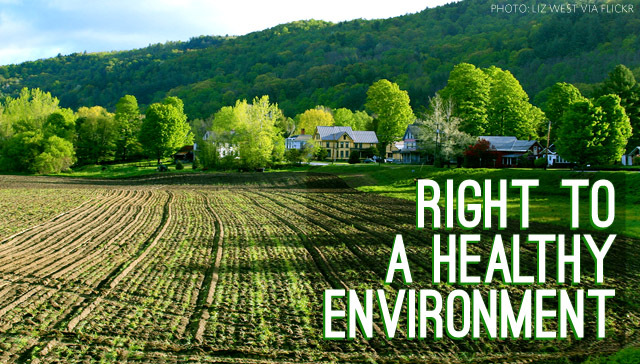 There are two more rights impacted by fracking that I would like to cover: occupational health and socio-economic rights, such as the right to work. Safety and health was found to be exacerbated at fracking sites as a result of silica dust used in fracking and to which the workers were exposed to. It causes silicosis and lung cancer. Meanwhile, Article 7 of ICESCR provides that states recognize everyone’s right to enjoy just and favourable conditions of work including safe and healthy working conditions. International Labour Organization (ILO) has a Promotional Framework for Occupational Safety and Health Convention No. 187 which is in line with this article. It acts as an essential instrument in protecting safety and health at the workplace. Since fracking also decreases the quality of soil and health of the livestock (there were cases of deaths, neurological disorders, aborted pregnancies and stillbirths in cattle and goats associated with wastewaters in the U.S.), this also affects farmers’ right to means of subsistence thus their right to work. Article 6 and 7 of the ICESCR declare that states recognize the right to work, which includes the right of everyone to the opportunity to gain his/her living by work which s/he freely chooses or accepts. It is the obligation of the state to take appropriate steps to safeguard this right including for ensuring their right to a decent living for themselves and their families”. 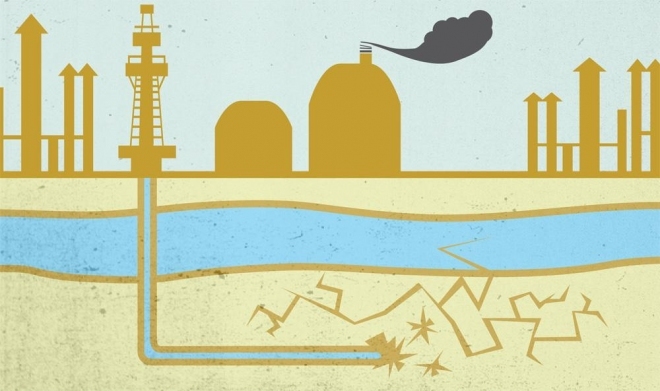 What’s the global reaction to fracking? On the one hand there are plans for fracking in Canada, Poland, UK, India, Australia, Indonesia, South Africa and China. On the other hand there is a global anti-fracking movement. In 2011 the French parliament voted to ban the controversial technique of fracking, in 2012 Bulgarian MPs also voted for a ban of the fracking method following big street protests by environmentalists. In 2012 the Luxembourg Parliament voted against a motion to extract underground shale gas due to concerns over the environmental impact of the process. In 2014 Germany confirmed it has no plans to lift a ban on fracking. In February 2015 the Welsh parliament voted against the use of shale gas fracking in Wales, just one week after Scotland passed a fracking moratorium, highlighting growing discontent with the British government’s push to tap shale gas resources. 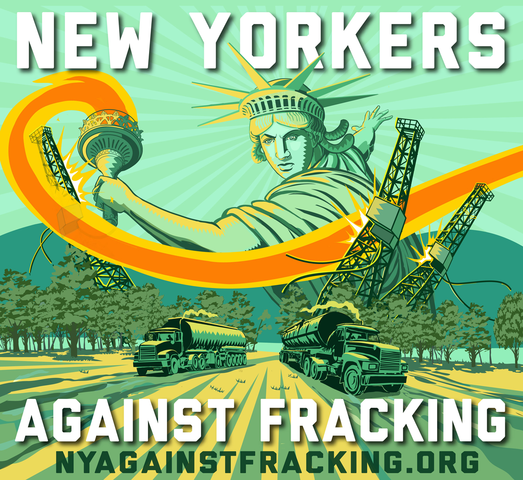 Many other anti-fracking actions are ongoing. Companies are always fast, so it is good to keep up with them.